Join this funny, over-forty, mother-of-four as she shares her misadventures, maps the pitfalls of change and separates fact from fiction. 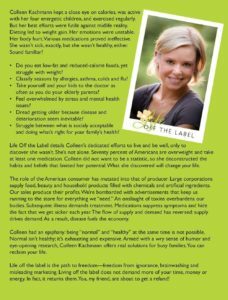 Colleen has poured her experience and expertise into her new book, Life Off the Label: A Handbook for Creating Your Own Brand of Health and Happiness. The book includes critical research on the poisons in our food supply and the pharmaceuticals that support chronic illness. 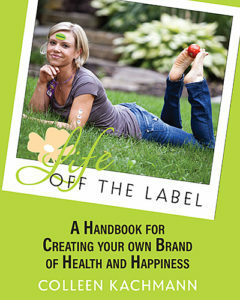 Her unique blend of science and mind-body awareness delivers practical wisdom that resonates with audiences everywhere.